This par 4 plays shorter than the yardage. Aim over the tree line down the left side and take it straight at the green. 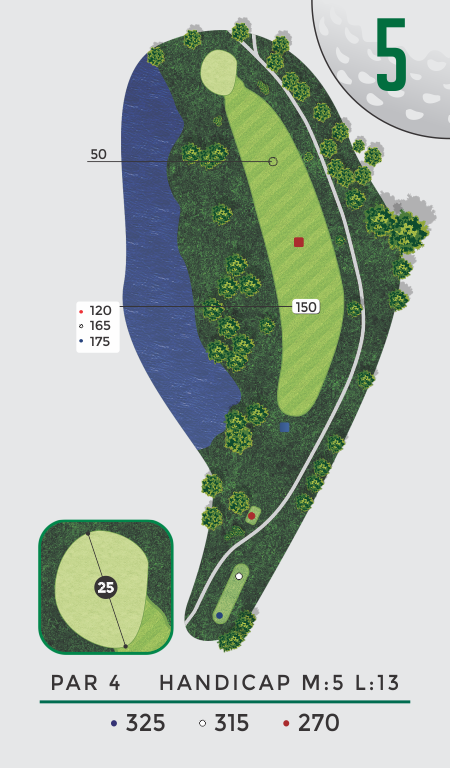 Depending on the wind conditions, this hole can be reachable for longer hitters.